Emmeline knows she's not supposed to explore the woods outside her settlement. The enemy that wiped out half her people lurks there, attacking at night and keeping them isolated in an unfamiliar land with merciless winters. Living with the shame of her grandmother's insubordination, Emmeline has learned to keep her head down and her quick tongue silent. When the settlement leader asks for her hand in marriage, it's an opportunity for Emmeline to wash the family slate clean—even if she has eyes for another. But before she's forced into an impossible decision, her dreams urge her into the woods, where she uncovers a path she can't help but follow. 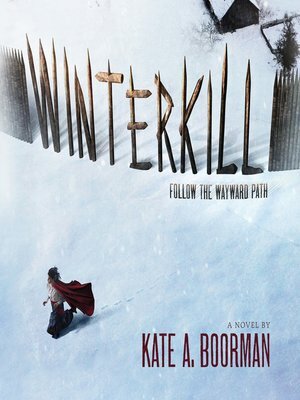 The trail leads to a secret that someone in the village will kill to protect. Her grandmother followed the same path and paid the price. If Emmeline isn't careful, she will be next.